There have been several posts over the last few years about appropriately valuing the things that you make. Let me start out by saying that I think these are very valid posts and many people probably find them helpful and validating when they price their handmade items, but they have left me feeling a little uncomfortable and belittled when I don't think that I deserve to be belittled. And today when I was washing dishes in my kitchen, I realized the reason why these posts have made me a little uncomfortable. I never work for free. That doesn't mean that I make money off of all of my quilts or that I make a decent hourly wage when I do charge money. It means that every time I make a quilt, something valuable happens as a result. Many of my quilts go to my friends and family. And when I am able to give them a quilt I feel love and gratitude that I am able to have that person in my life and that I am able to give them a gift that helps them feel loved. Some of my quilts are donated to people in hospitals or foster care. When I donate these quilts I am able to give someone comfort. Sometimes I do sell my quilts to someone who will love and appreciate them. 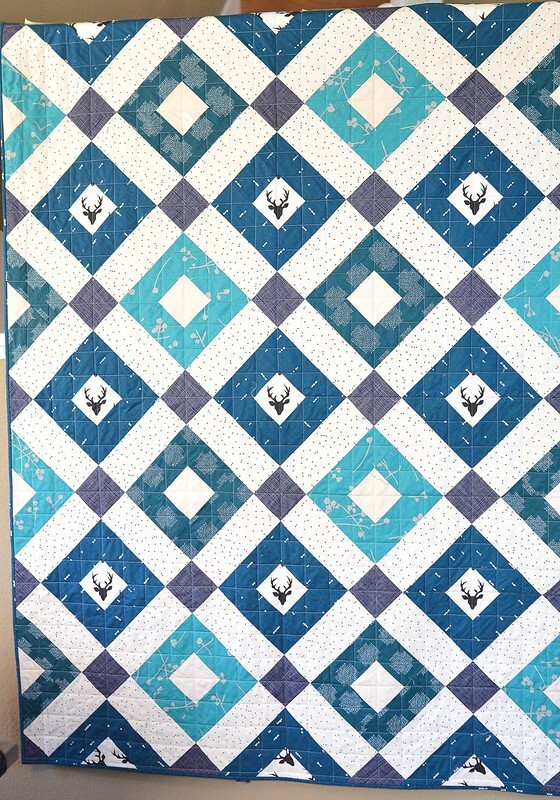 I am able to cover the costs of the project and make a little money (which I then usually re-invest in quilting supplies), and I am able to share something that I love with someone out there who will cherish it. Occasionally I make a quilt for a book or a fabric manufacturer. Sometimes I receive a fair payment for this contribution and sometimes it is just the satisfaction of contributing to the quilting community. 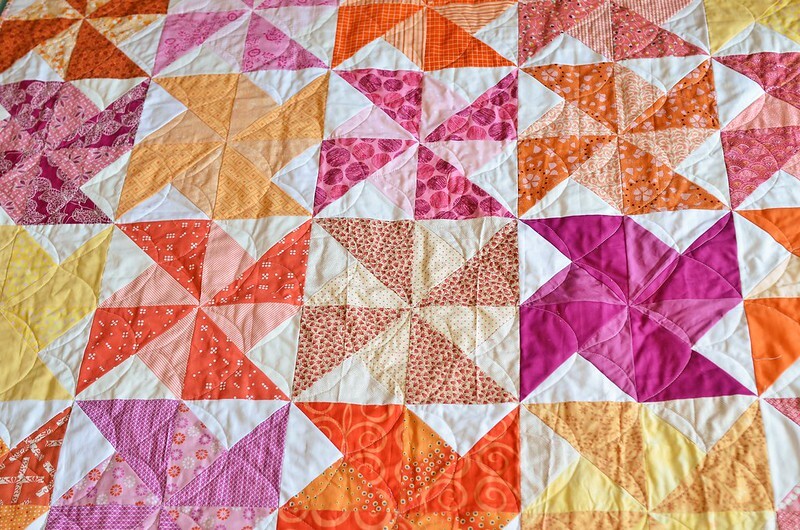 Some quilts are made for no particular purpose and are more of an exercise in creativity. Sometimes I am able to sell these and sometimes they get donated. Sometimes they sit on a shelf in my house until I realize the perfect person to give them to and I realize that there was a purpose, it just took a while to reveal itself. And sometimes I make quilts for my own home and these are the most valuable. Being able to see my family snuggled under something that I made is amazing. I am so proud of the people who are able to contribute an income to their household by their quilting. But for me, at least right now, quilting is something else. I guess my point is that are all in different situations and we are all here doing different things for different reasons, and that is okay and wonderful and I am glad we can be here to support and help each other. Super post and articulates very clearly how I feel about the things that I craft from hand as well. Thank you! Great post! I think your last sentence sums it all up for me too. 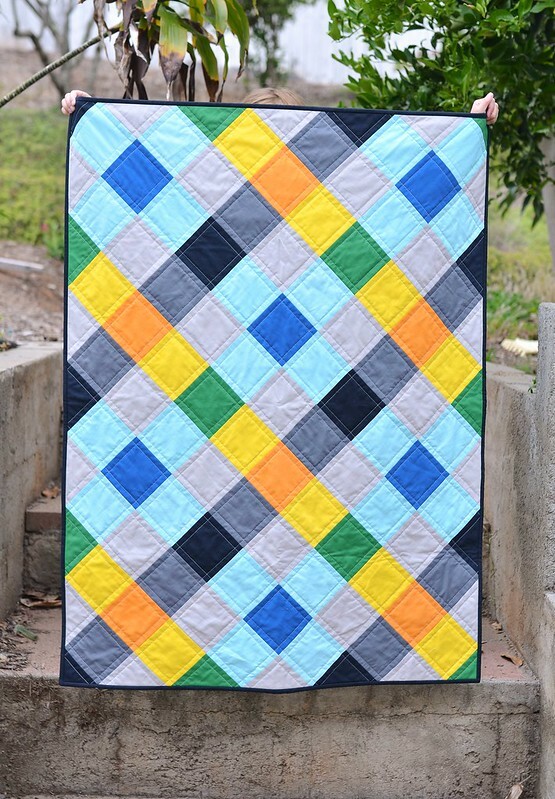 You make some of my very favorite quilts! I hope you know how much you inspire people! By the way..You are sooooo Talented & Creative! Your quilts are Awesome!! Well spoken! I deeply appreciate your feelings on this matter and I truly believe you have put a voice to many other quilter's passion as well! Kudos to you and thank you for all that you do! Well put. There is something about not assigning a dollar value to my work which makes it that more enjoyable. Thanks for helping me figure this out. Love the way you think. Amen, me too! Great post! Definitely agree with this sentiment. I agree with you. However, there are people you come across who think your quilt should be 19.99 because they can buy one at Walmart for that price, and you should make it more them for less. I did needlework on an intricate stocking, probably 200 hours invested, not to mention materials. A coworker was very upset when I told her I would make her one like it for $200. $25 was all she was willing to pay. Great post! I just recently posted something similar on my blog. Thanks for sharing. Love your post today. I also get the same 'payment' for the majority of the quilts I make. I'm a longarm quilter who is the cheapest date around! I don't charge too much for what I do, but I am comfortable with what I make. People are always astonished when I give away a quilt at the end of my trunk show. I love the look on the recipient's face as well as the rush of joy it gives me! Thanks! You are right on the mark!! I sell some of mine, but don't make anything for my time. It is a labour that I love. Some understand...some don't. My fear is if I make projects to sale it won't be fun any more it will be about a profit. But for me its about the process and love you are giving no matter who receives it, a loved one or a stranger. Thanks for putting into words. Terrific post. I've never sold a quilt. I've made one or two on request and the requestor supplied the fabric but I'd have done it without that. The simple pleasure of creating something beautiful that someone else can enjoy is all I need or want. I love your quilts. I found you and started following you as a result of seeing your wonderful Constellations quilt. 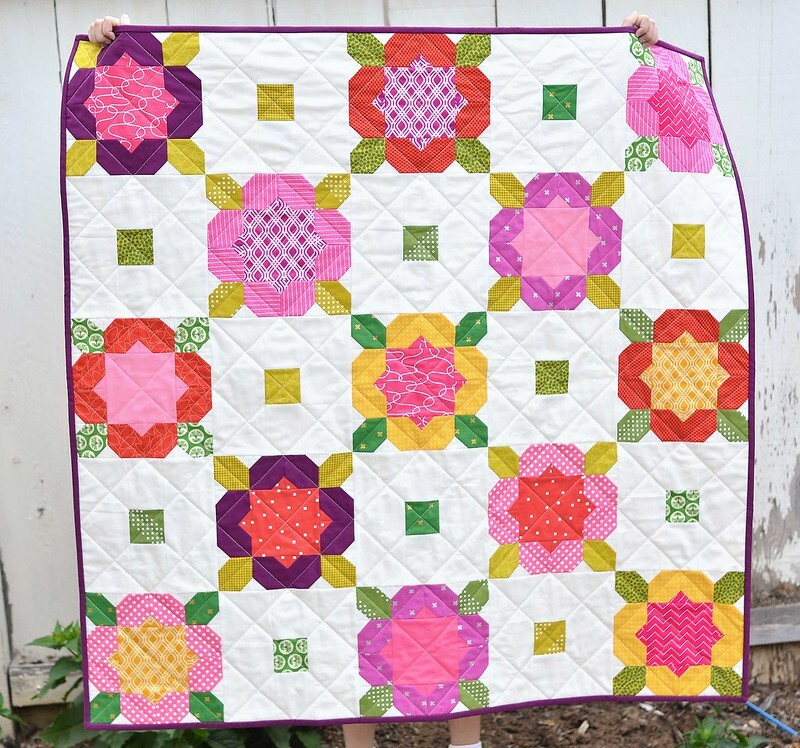 I enjoyed reading this blog post and I feel the same way about all of my crafts so this doesn't just apply to quilting. As someone who does a wide variety of needlework and crafts it gives me a great sense of pride to be able to produce a beautiful item and exercise my creative brain. Your quilts are beautiful and I am sure all of those lucky people who own one will cherish them. Really great post. I've never charged for a quilt at this point but I agree, even without that, our creative works are not free. This is a really great post! I think there is so much value in giving a gift. I prefer to make quilts or other projects as a gift because I feel like fair compensation would often be a burden. So many people expect the thing you spent so much time and effort creating to cost the same as the bed in a bag from a big box store. That hurdle is perhaps the most frustrating part of being a maker. Great post and I am in prefect agreement with you. I've only kept one of the quilts I made and the rest have been given away. I did donate on for a charity fundraiser and was happy to do so, but making quilts makes me happy. Excellent post! You expressed it perfectly that something valuable results from every quilt you make and value doesn't necessarily mean money. I like making money for my quilts but it doesn't override the joy I get from gifting them. One way or another, it's sharing my passion for quilt making and it feels good. It's a difficult thing to put into words but you have done so really well. When you price quilts for sale it has to be value that pleases you and who can say what that value should be for you personally. I sell many of my quilts for a price which is affordable but which covers the costs and makes me a small profit. It is my delight that my customers return over and over again, send me photos of the babies with their quilts and appreciate that the quilt they buy has been made with lots of thought and skill. As a potter friend of mine said when asked about his very affordable prices " That's enough" and I feel that is a much better way of looking at it rather than how much can I charge and get away with it. Your quilts are beautiful and innovative too. Thanks for the post. 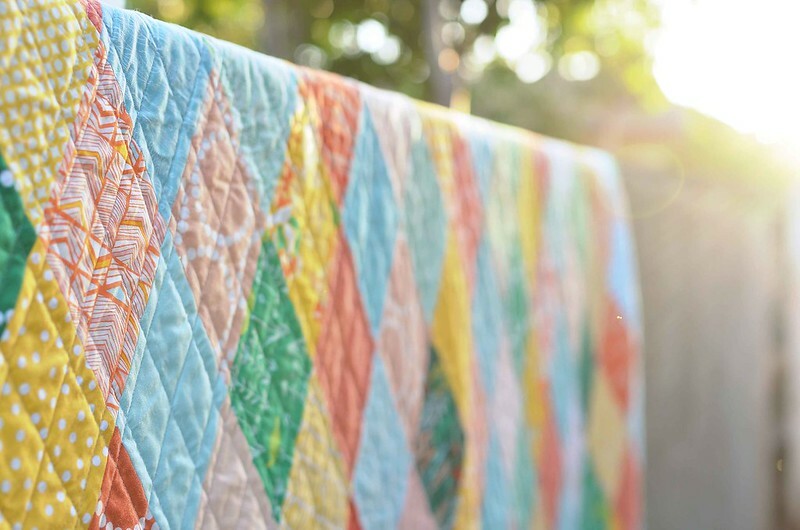 This post not only expresses some great thoughts, it also shows off some beautiful quilts. Those who receive the quilts, whether purchased, donated, or gifted, are receiving a blesssing. Those quilts kept for use by your own household, are, indeed, the most important ones. They might be handed down in your family and appreciated for many generations to come. You have, indeed, made the world a better place because you live. I agree that creative projects have more value than merely monetary. I make costumes for theatre for a living- I always refuse to do work i n my specific area for free or minimal cost- because if I do i'm depriving someone of income, or even worse giving designers and directors the idea they can get professional costumes for free- despite having paid for set, lighting, sound ,actors and venue. So many students and inexperienced makers want to get a foothold they will work for free this has debased all costume in the UK except in the biggest institutions- this is very sad for everyone -especially audiences. So you have to be very careful you do not debase your whole sector by working for free or at unrealistically low cost. What a great post.I saw this on my bloglovin and couldn't resist reading it - I cannot see the pretty pictures as my work server doesn't allow it, but this was a wonderful post and well worth reading. I don't quilt, I sew and knit mostly clothing, and I do give to family and friends and the SPCA for their shop, and I have the same feelings as you. Thank you for this. I came to this post from Bloglovin' and have read the comments. There are many and varied perspectives on turning something you love to do into an income producing business. While I do charity work through my guild and give quilts to friends and family, I do have a quilting/restoration business. Setting prices is one of the most difficult things to do. The IRS expects me to be profitable. I have struggled with this. My skill level has increased over the years, why shouldn't my prices? My landlord doesn't have a problem with raising the rent, the fabric store where I buy my materials doesn't have a problem charging more either. I have had clients come to me and say I want this, this and this done on my quilt but I don't want to pay a lot. It's difficult to respond to that. One thing that I think no one has touched upon is the historically low value that has been placed on 'woman's work'. As far back as the 13th century women and girls were paid miserable wages in bad conditions for 16 hours a day. The term 'sweat shop" ring a bell? That being said, I respect the opinions I have read. There is room for all of us. I love what I do and receive tremendous satisfaction from a job well done. Mainly, I just want you to think that you are worthy to be paid well for your work. I love this post - so well said ! Good on you ! This is such a great perspective that I really benefited from. Thank you! But I do make them for friends and family. And one day I'll finish one for myself. 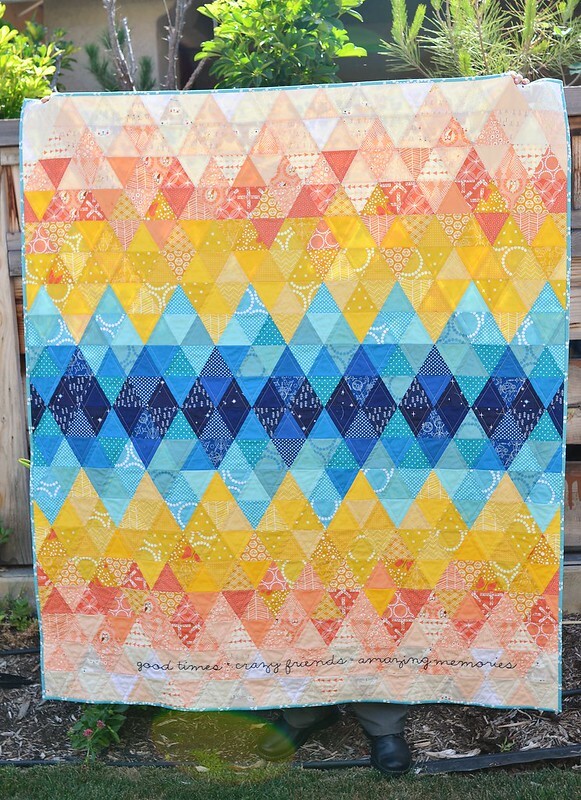 I love the triangle quilt. And where did you find the deer head fabric? Oh and there's no reason for you to feel belittled. Just pefect, I feel just like you about my quilts and my blog! I am not in it for the money but find it very satisfying! Thank you for putting this so well! This is something that has been on my mind quite a bit lately. In theory, I agree with appropriately valuing what we make, but to do so only in financial terms feels dehumanizing somehow. We get a lot out of making quilts, and it’s not always about the money.